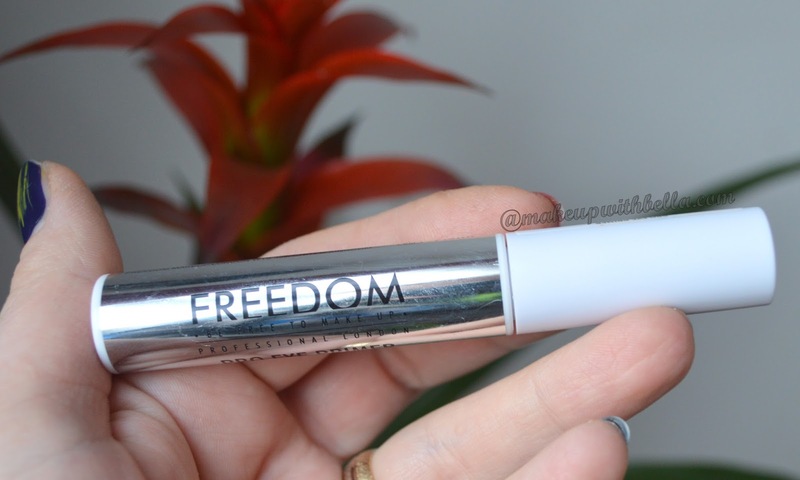 Makeup with Bella: The FreedomMakeup London Pro Eye Primer- worth to bother? 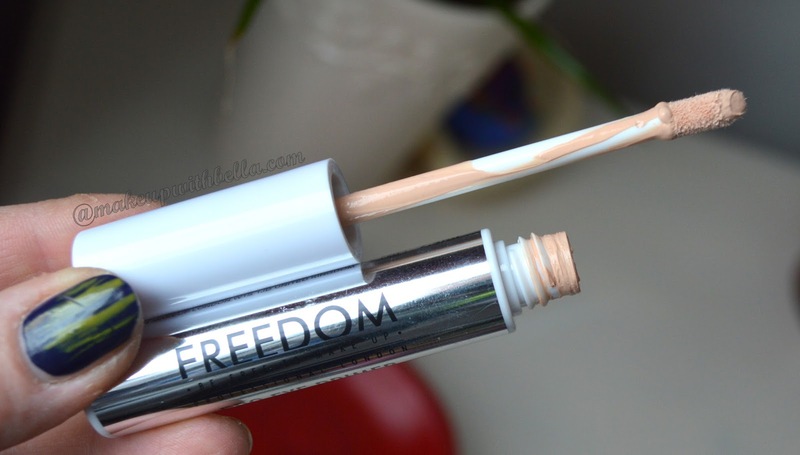 The FreedomMakeup London Pro Eye Primer- worth to bother? The packaging is silver, pleasant for the eyes, unscrewed with a sponge applicator for easy application. We have up to 7.5 ml (quite a lot) product content for the price of £ 2.50. 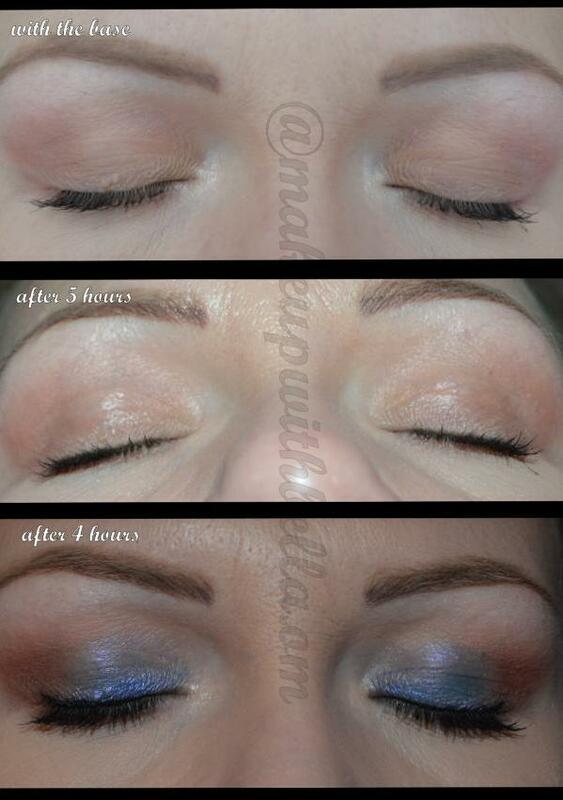 Consistency is creamy, like most of the eyeshadow bases, but dries very long time and has a very low coverage. I dare even say that none, unfortunately. So I decided to use the base without cream under the eyes. Unfortunately, the result was the same. As you can see in the picture (already with flash, after 5 hours), the shadow basically cannot be seen and has been terribly creased. I'm sorry Freedom Makeup London, but this base is not a shot at a tenner. The producer promises "vibrant, crease-free colour that lasts" but sadly these promises are false. 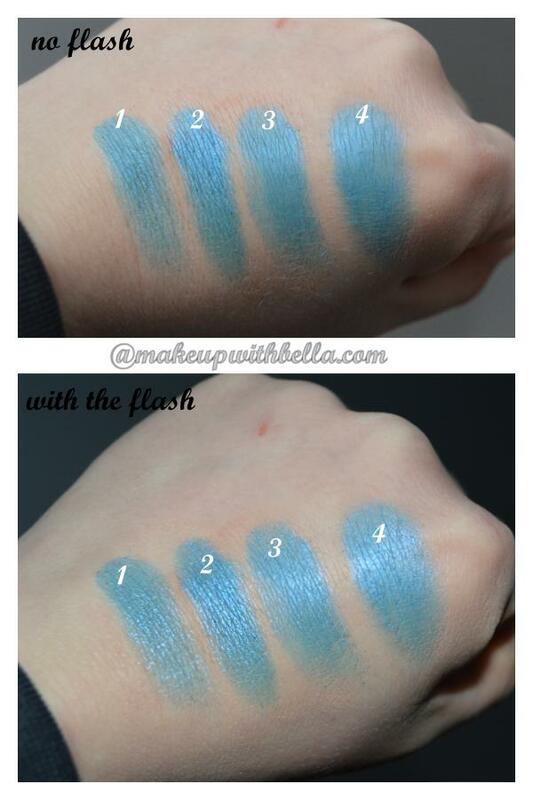 For comparison, I've done swatches of blue eyeshadow (aqua dream, Makeup Revolution London "Eyes Like Angles" palette) and I applied it on to the different bases: from left: nr1- no base, then (nr2) Pro Eye Primer FreedomMakeup London, nr 3- Collection, Lasting Perfection, Ultimate Wear Concealer and at the end, nr 4- Avon Under Eye Shadow base. As can be seen, the describing base beautifully enhances the color pigmentation, but it will be the only one plus for this product. During the day, it begins very quickly to crease and gets look just greasy and oily. 1- no base, 2- Pro Eye Primer FreedomMakeup London, 3- Collection, Lasting Perfection, Ultimate Wear Concealer, 4- Avon Under Eye Shadow base. Summing up, FreedomMakeup London Pro Eye Primer has only one plus, nice colour enhancement and the low price. Other than that, I wouldn't recommend it any of you girls. But if you would like to get it to your hands you can purchase it in the Superdrug or order online form here.